The great debate among homeowners when installing a new lawn is whether to use seed or sod. Spoiler alert: there isn't a right answer. However, we thought it would be an interesting exercise to monitor the two different applications side by side. 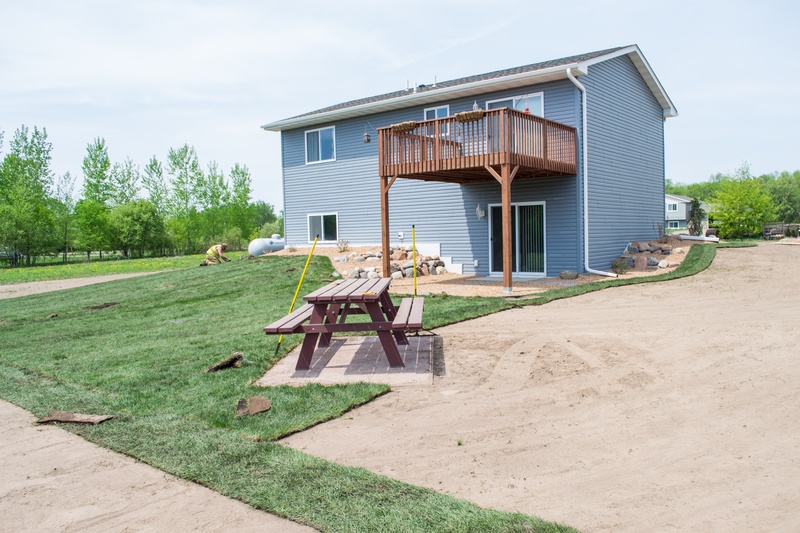 Luckily enough, one of our clients wanted to use both sod and seed around their new house. 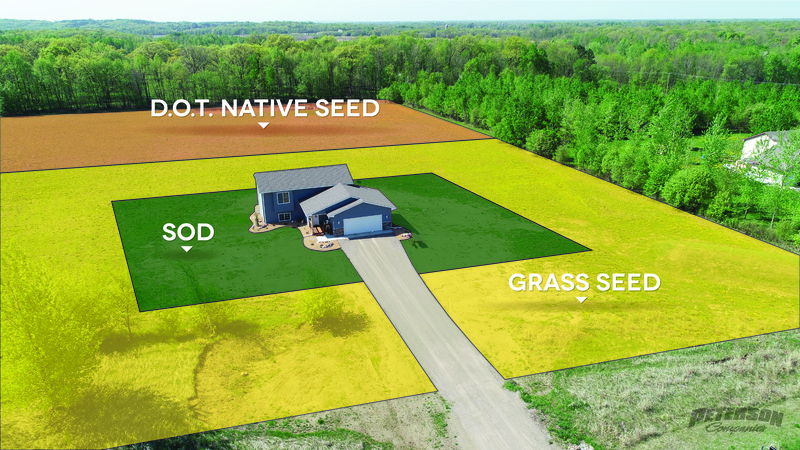 This was the perfect opportunity to get an unbiased, non-Photoshopped look at what a homeowner faces once the seed and sod has been laid. 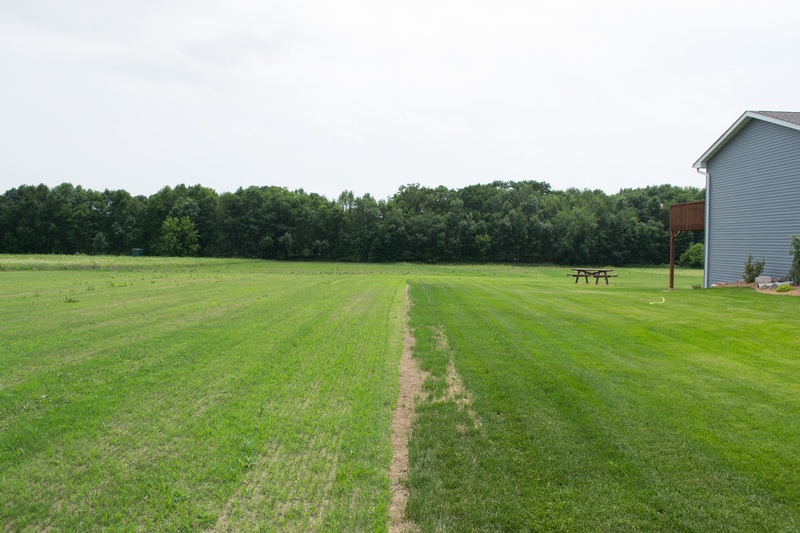 We documented the installation of the sod and both seed mixes on May 17th. When's the best time to install a lawn ? We then visited the job site once a week for two months. Full disclosure, this project did not receive any extra attention or maintenance. 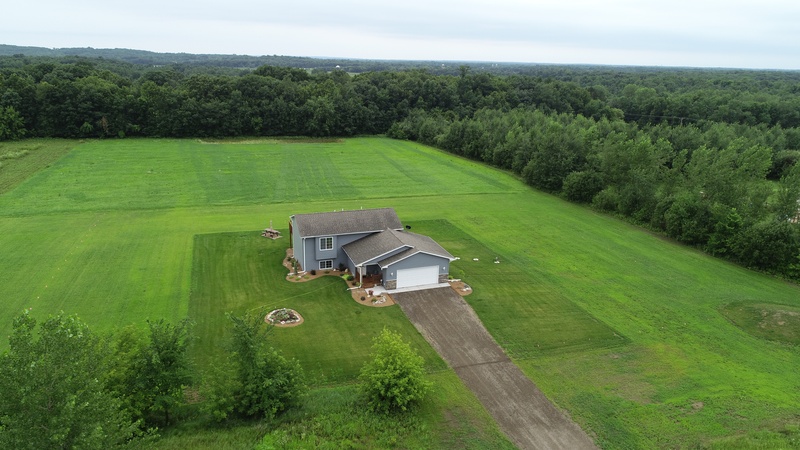 What you see is a very real example of a typical lawn installation. In fact, this particular project faced several challenges. 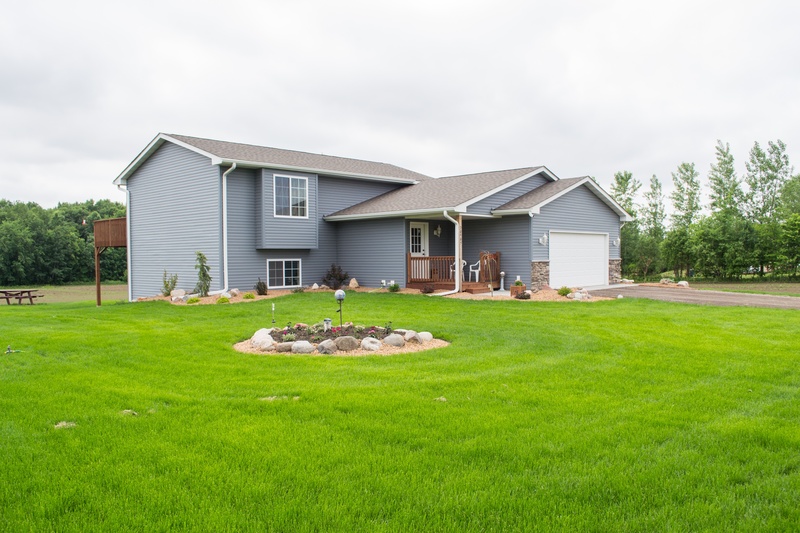 The homeowner didn't install an underground irrigation system, no black dirt was imported, and an extreme heat wave occurred immediately after installation. It's our recommendation that black dirt is installed for new sod and seed lawns. What's the best type of soil? We also highly advise that an irrigation system be installed. If a full underground system isn't in the budget, a temporary system can be installed during the establishment period. See a project that used a temporary irrigation system. 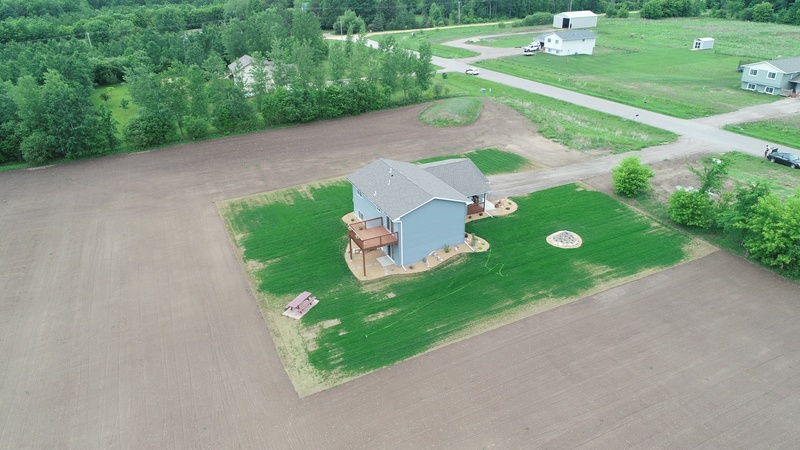 The property was tilled, graded, and prepared for seed and sod. 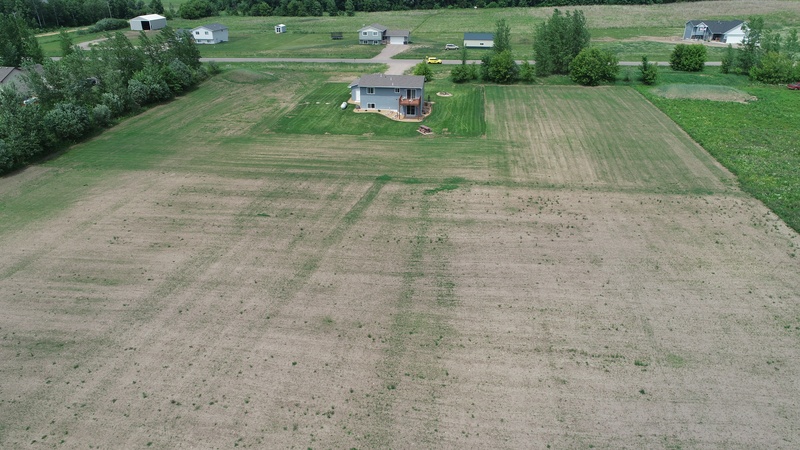 This property used to be a corn field and had extremely clay heavy soil. 50 rolls or sod were laid and watered in. The homeowner was then responsible for irrigating the sod using manual sprinklers and hoses. 250 lbs. of lawn seed and 120 lbs. 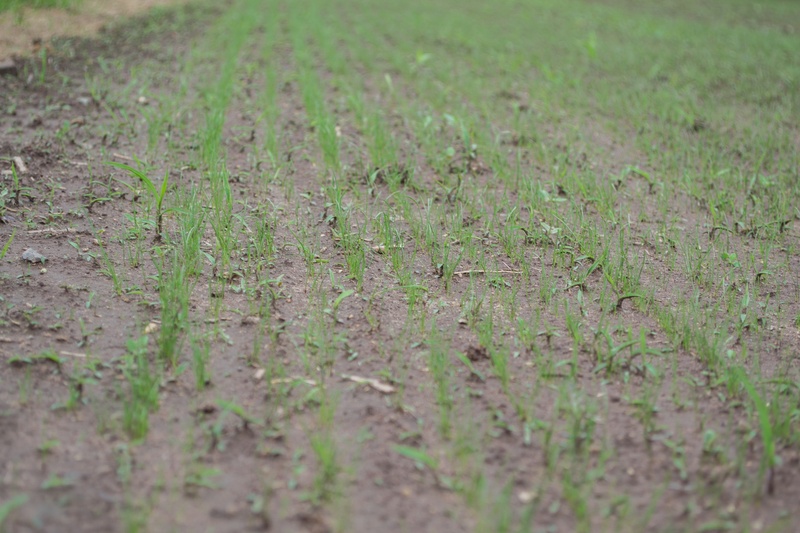 of native grass seed were slit seeded on the property. These sections of seeded lawn would not receive any irrigation, just natural rainfall. Keeping the grass and seed hydrated during the establishment period is critical. Unfortunately, an extreme heat wave and drought occurred immediately after installation. Temperatures hit 100 degrees Fahrenheit and the exposed perimeter of the sod started to dry out quickly. An irrigation system would have been very beneficial during this time to ensure the roots and soil weren't drying out. After the temperatures cooled off and the rains returned, the sod was able to rebound. The grass seed also had a chance to germinate. 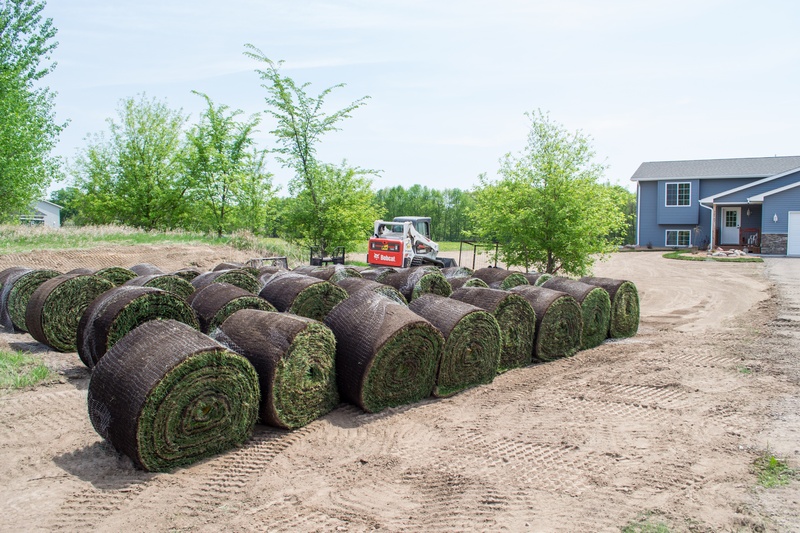 Four to six weeks is usually how long it takes for sod to take root and establish. The homeowner no longer needed to water the lawn as frequently and they could start mowing. The grass seed was continuing to fill in. However, there was still lots of exposed dirt. The longer bare soil remains exposed, the greater the chance that weeds take root. 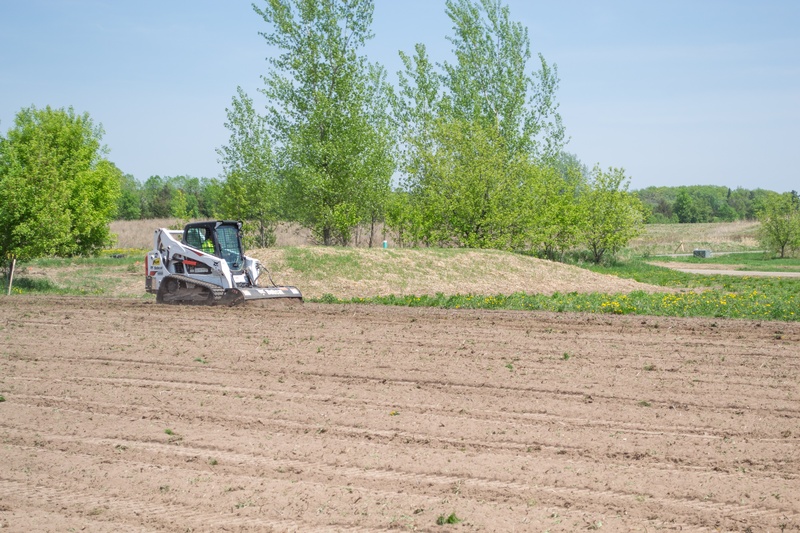 On a smaller job site, black dirt would have been imported and erosion blankets would have been laid to help ensure the grass seed could germinate in ideal conditions. There were still signs of stress on the sod from the heat wave, but for the most part the sod portion of the job is lush and green. It is ready for full use by kids, pets, lawn games, etc. However, you can see that the grass seed still hasn't filled in completely. Lawns by seed take longer to establish, but can be healthier in the long run. Almost two months after installation, the sod is completely established and on a regular watering schedule. You can see that the dry patches from the first couple weeks have fully recovered and there's green grass covering the entire area. Both seed mixes have completely grown in as well. The D.O.T. mix has a nice blend of native species that are starting to bloom. Unfortunately for the grass seed, lots of weeds moved in when the seed was slow to germinate. That can be seen by the bright green color compared to the darker shade of sod. Lawns established by seed are more vulnerable to weeds than sod, but can be managed over time. The quality of the lawn is more dependent on the maintenance and irrigation than what method was used at installation. The issues faced on this project were the same as any sod or seed project, but at such a large scale the challenges were multiplied. Temperature, water, and soil are the three elements to a successful lawn installation. When the temperatures spiked, not having an irrigation system, black dirt, or erosion blankets proved to be a challenge. Luckily, the sod was able to recover with lots of attention from the homeowner. All three grass types will continue to establish and adapt through the season.